Welcome to ‘France et Moi’ where this week I am talking to author April Lily Heise about what France means to her. April Lily Heise, from Ontario, Canada, has been living in Paris for the last thirteen years. Ever since, she's been trying, quite unsuccessfully, to stay out of romantic trouble. In addition to her book Je T'Aime, Me Neither , she shares her romantic musings on her blog Je T'Aime, Me Neither. 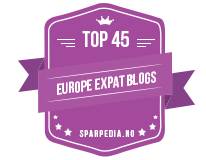 She contributes to various travel publications including Frommer's Paris and France guides, DK Eyewitness guides, Conde Nast Daily Traveler, Lonely Planet blog and other international magazines and Paris-based sites. Lily: I think a lot of what makes France special is the joie de vivre. Now, I know some people might say; “The French aren’t too joyful!” – and I fully agree, however, they do know how to live life, which is what joie de vivre is really about. They take time to enjoy the finer things in life: good food, company, art, music, holidaying… the list could go on and on! I think this philosophy is the common thread tying everything together or even the root of the other attributes that make France unique, even down to its picturesque villages, riveting literature, splendid museums and the delicate care taken to producing exquisite foods and wine. Lily: I first came to France when I was 17 during a semester abroad to Milan, Italy. I was so excited. In fact, France and had been my first choice for the exchange and I’d been a little disappointed that I was being sent to Italy (a sentiment that quickly faded as I became integrated into the splendid Italian culture). Oddly, I think it was our visit to the Centre Pompidou during that trip which stands out the most in my mind. Arriving in the square in front of the museum, it was bursting with energy; there was a lively bustle of street-performers with cheering crowds and in the backdrop the inside-out building and a count-down clock to the year 2000. Our trip was really rushed and as we scurried through the complicated maze of the museum (prior to the early 2000s renovations), I caught fascinating glimpses of Giacometti’s elongated figures, Picasso’s collages and Miro’s colorful paintings – a surprising creative world, capped with the grand finale of the view of the city from its rooftop. This experience excited me to the possibilities and discoveries of the world… and brought me back to continue my exploring five years later. Lily: My first real stay in France was during a three-month study abroad in university. We were lucky enough to live at the Cité Université, a wonderful melting-pot of students from around the world. However, as much as this multicultural microcosm was fantastic, this first stay wasn’t a real immersion to France… our biggest challenge being which residence party to attend that weekend. My real challenge came the following year when I packed up my bags and moved to Paris. Though as an enthusiastic 23-year-old and already knowing the city and the language well enough, I had this blind optimism and perseverance which over-shadowed the regular stresses of moving to a foreign country. Lily: Finding a French petit ami or petite amie? Jokes aside, having a French-speaking amoureux is one of the best ways to learn the language. I also learnt a lot of my French by listening to the radio or watching French TV and movies. Working for a French company is also useful, but then comes with other challenges! Lily: There are two French works that are very similar in spelling and pronunciation: baisser which means to lower or decrease and baiser, well, which technically means to kiss, but often means something more, um, bodily engaging than merely kissing. I’ve learnt to avoid those words as much as possible to baisser the chances of error and ensuing embarrassment. 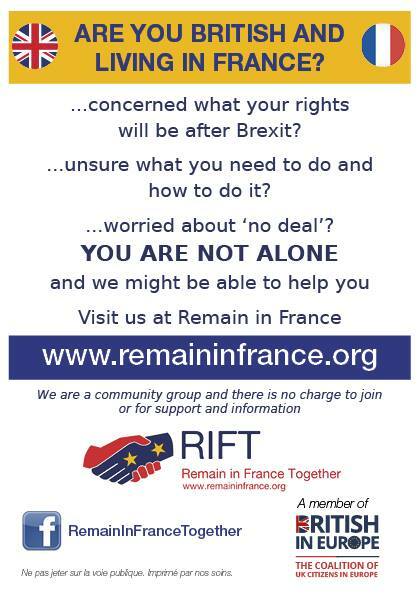 6) I have to ask you about French women, what do you think makes them different to us and gives them that je ne sais quoi? Lily: I think that je ne sais quoi comes from a certain confidence… and a certain simplistic originality. If you think of French cuisine, it can be very intricate yet with very simple ingredients, this is sort of like a French women; it seems like she’s wearing a simple black dress, but she has killer heels, a slightly crumpled yet designer scarf, hair haphazardly gathered in a bun yet which doesn’t look messy, the look crowned with a touch of Chanel lipstick… and most probably some Aubade lingerie hidden underneath. French women do this so well and seemingly effortless. I think Anglophone women sometimes try too hard, though on the other hand don’t oser (dare) enough. But this is just the tip of the iceberg! 7) Paris, the city of love, has been your home for many years, is it the place, the people or something else that you love the most? Lily: I would have to say the place itself and its essence. These are two different things. The place is the architecture and the stories the history tells. When I’m away for a few weeks and first step out of the metro upon returning a smile often pops onto my face and I’m reminded why I love it here and how I can’t imagine living anywhere else. The essence is something else. It’s the energy the city exudes, which is a combination of the bustle of the cafes, the immense cultural programing of exhibits, concerts, festivals … romantic encounters and other surprises! Lily: Un café crème s’il vous plait. At 5:00 p.m. that would be another story: un verre de vin de rouge! Lily: Good question! But a hard one seeing as there are so many to choose from! I would have to Neufchâtel. I really like this cheese… and not only because it comes in the shape of a heart! It’s similar to Camembert, but less googey and has a nice tanginess. 10) Can you describe your perfect French apero for us - the drink, the nibbles, the location and the company? Lily: I love apéro, it might even be my favorite time of day! In summer it would have to outdoors, sitting by the Canal Saint Martin or by the Seine along the Quai de Tournelle this would be accompanied by some rosé. If the weather doesn’t allow for an apéro picnic, I would suggest a wine bar over a glass of Saint Amour or a wine from the Languedoc (or a special occasion my favorite wine – Chateauneuf-du-Pape!). In either case, the wine should be accompanied by olives from Provence, a planche de fromage (with some Neufchâtel perhaps? ), fresh crusty baguette and some seasonal fruit. Lily: I’m currently working on the new revamped Frommer’s France and hopefully will start book II in the late summer or fall, the next batch of stories are dying to be told! 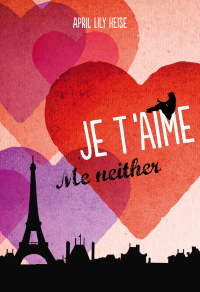 You can read my review of Je T'Aime Me Neither book one here.